Great service and a professional job. 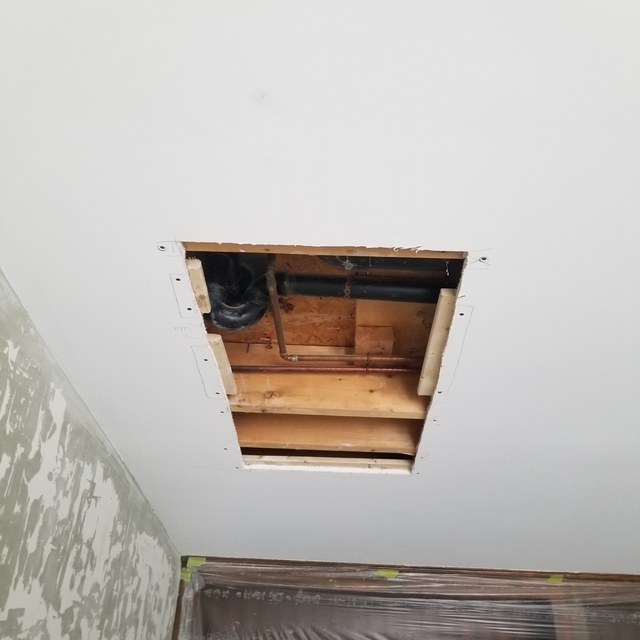 Ceiling repair and stucco repair was quick and painless. Thank you. Always a pleasure working with a family that is prepared and understands what needs to be done. 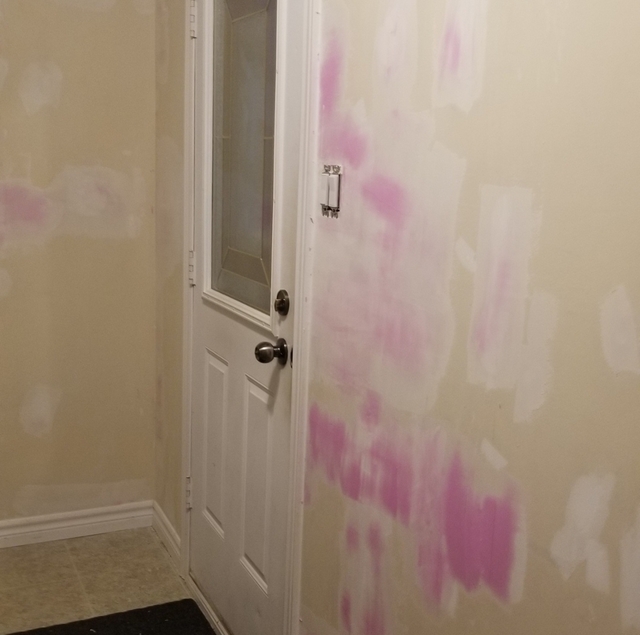 Drywall repair (taping) and stucco spray (blend-in) does take a couple of visits. I am a very satisfied customer......truly impressed with Marc's willingness to do the job well! He came back once to touch up the necessary spots that needed more attention. He is a charming individual with great social skills as well as having contacts that we took advantage of. He has found someone who may reshingle our shed (Ed) & we are grateful for the recommendation. Thank you Marc for a job well done & for your willingness to complete the job, even if it took a 2nd. visit. We will certainly be keeping your business card on file for future assistance & contacts. We believe the job is never finished until the customer is satisfied. Most jobs we complete the work and leave while it is still drying. Rarely is there an issue however, when there is, we will always return for the touch-ups. He was recommended by a friend and was able to attend and complete the work in a very timely manner. A very high wall due to a long stairway required a special ladder that we were unable to reach. he was careful to cover all carpeting on the stairs and offered good advice on paint and drying times. Very satisfied with his work. It was a pleasure assisting you with your project. Painting the "difficult to reach" areas tends to be our specialty. Special equipment such as ladder stands (Ladder-Aide) and long poles makes the project easy (for us). Marc Hahn was extremely friendly , his work was excellent including his staff . I would highly recommend his company and for sure will be using his services in the future . It was a pleasure working with this customer. A true challenge having to insulate and repair water damaged ceiling in garage of older home. We had to remove old plaster ceiling and replace with drywall. Tape, skim coating, priming and painting. 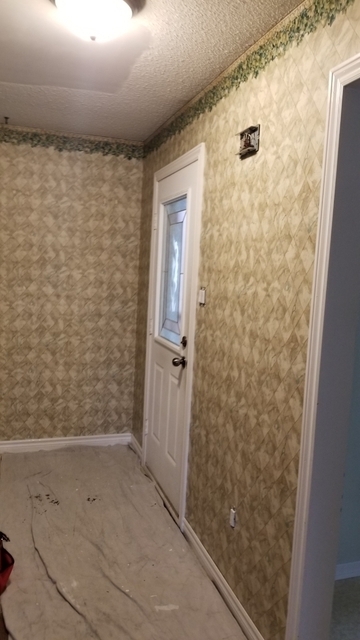 My parents had not updated the paint jobs in their house for over 20 years, and there were rooms that still had wallpaper on them that needed to be removed. Knowing how desperately my mom wanted the house updated and that she didn't have time to do it herself, I decided to hire a professional painting company to do the work and turn it in to my parents' Christmas gift. 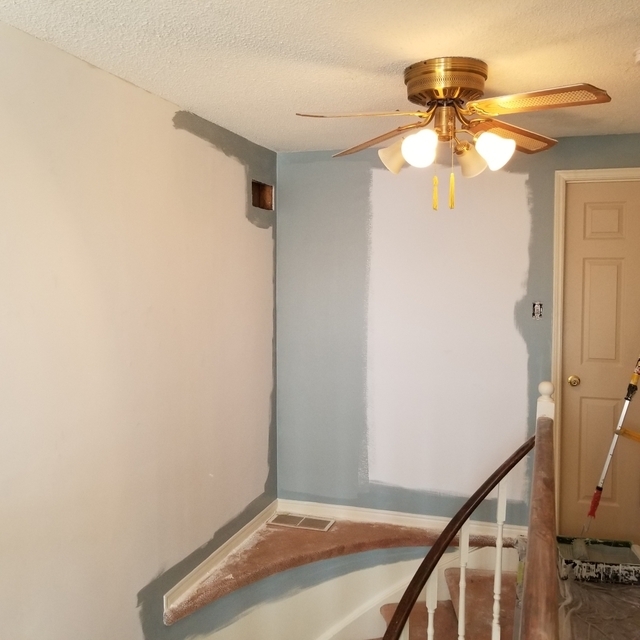 I had done my research on homestars before deciding to hire Marc and the Finishes by Hahn team and I am very happy I listened to the previous reviews of this company because they did not disappoint. Marc worked with my schedule so we could get a quote for the project done without my parents knowing and even made up a gift certificate for me to wrap up and have under the tree for them Christmas day. 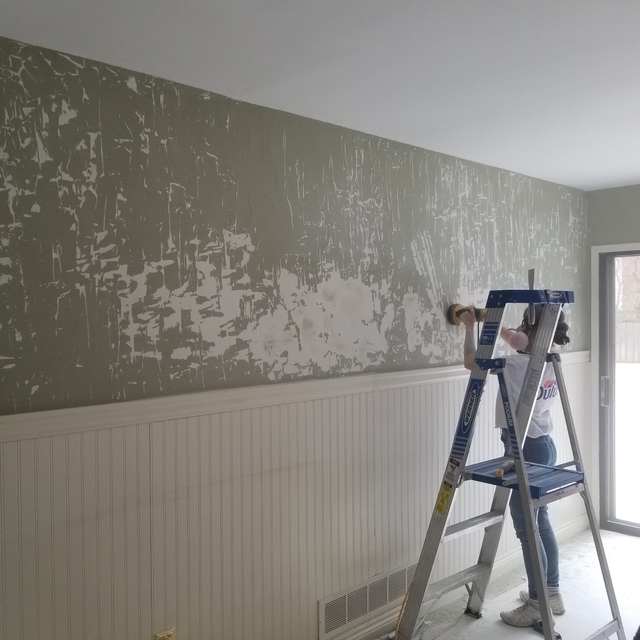 The project was finished professionally in the timeline initially provided, and when there were a few imperfections that were discovered after the paint had dried, Marc made sure a member of the team was promptly sent over to do some last finishing touch ups. My parents are thrilled with the results and my mom's first response to seeing the kitchen paint job was that it looked so good she couldn't believe it was actually her kitchen. I know my parents have already started thinking of other areas of their home that they want to have Marc come back and paint as well. I am very happy with my decision to hire Finishes by Hahn for this job and I will be contacting them in the future should I need any painting done at my own home. Thank you for using the services of Finishes By Hahn. We were pleased to be creative with a Christmas Gift Certificate. The wallpaper removal was challenging (wallpaper had been up since . . .?). 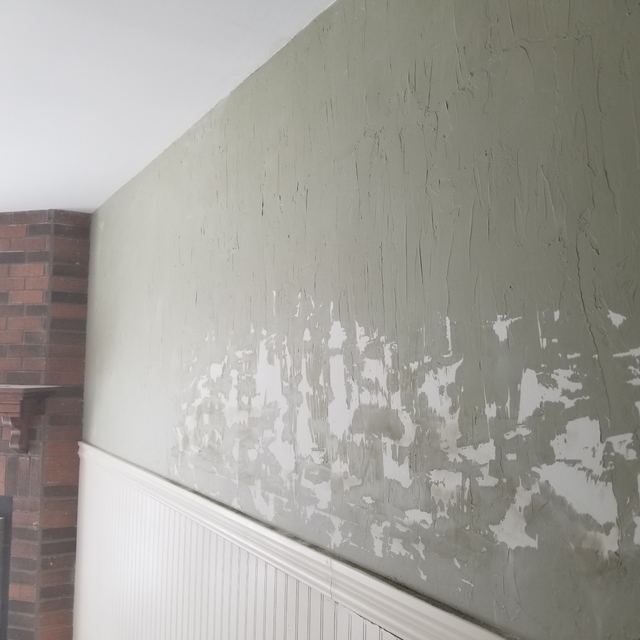 A lot of the walls were damaged by the lack of preparation prior to wallpaper installation. Repairs to the walls included skim coating, sanding, and priming. By far the easiest and most recognizable part of the project was the paint. Another project where we all stood back and said "WOW! What a difference." Finishes by Hahn painted my retail store after hours. They did a fantastic job, they were meticulous with taping/tarping and ensuring that everything was returned to normal when they were done. I was thrilled with them and would definitely use them again. It is a pleasure working with a client who also appreciates the importance of timing. We thank you for you and your staff assisting in the moving of displays and plants prior to us starting. Used them many times. Marc is a good and kind business owner focused on community. Thank you. It all starts with a client who has a great design in mind. 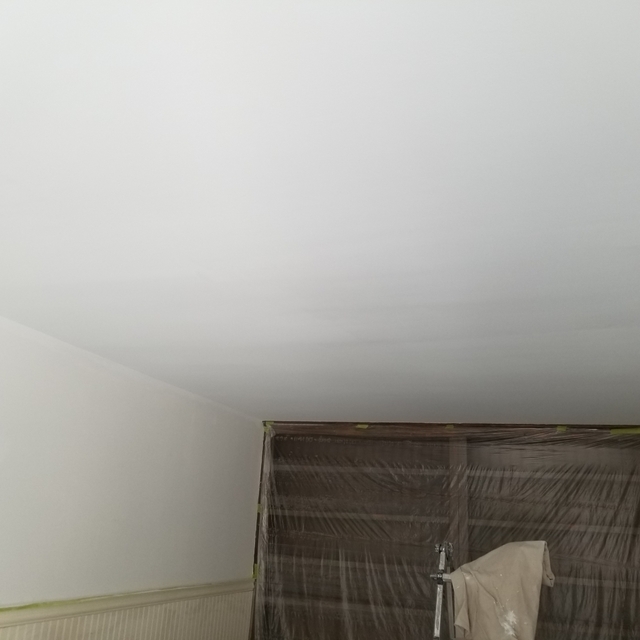 Painting in 6 rooms as well as repaired a ceiling due to some water damage for a bath tub over flow. Thank you. Feel free to contact us for any of your future projects. Marc is very attentive to your needs and schedule. Excellent work on my ceiling for the second time in a few years. Great overall experience. Thanks again Marc. Always a pleasure. Feel free to contact us if you require any other services. We had some stucco ceiling damage which needed repair in short order. Knowing it’s not easy these days to find reliable companies to provide quality services we looked to Homestars reviews and found Finishes by Hahn. We contacted Marc on a Friday and by Sunday he made a visit to review the work required. We had a detailed quote within a day. Marc was in two days to do the quoted work. He even fixed a door lock for us. OUTSANDING SERVICE!!! It was a pleasure working with you. We are glad we could help you get your house ready for sale so promptly. We wish the best in your sale. The First Thing Noticed IS the Finish - Durham Region's Paint Application Specialists. 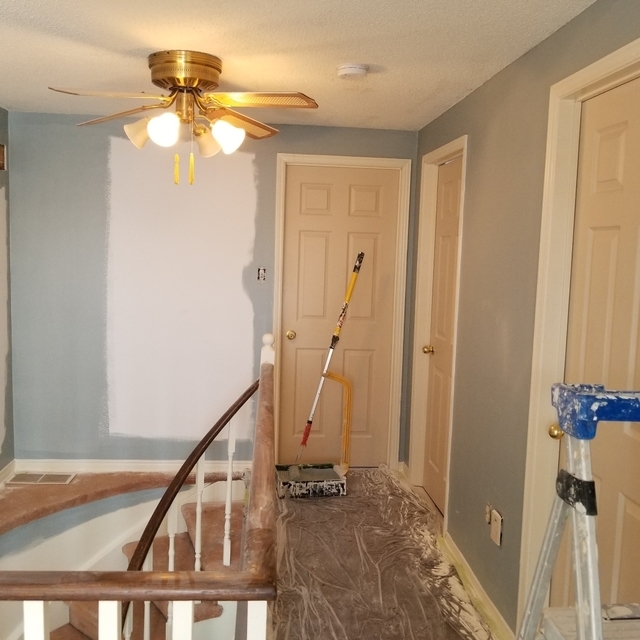 Drywall and stucco repair, painting large areas with Titan 440i airless paint sprayers, cabinets and trim work with 5 stage HVLP sprayers, or "old school" brush and rollers. 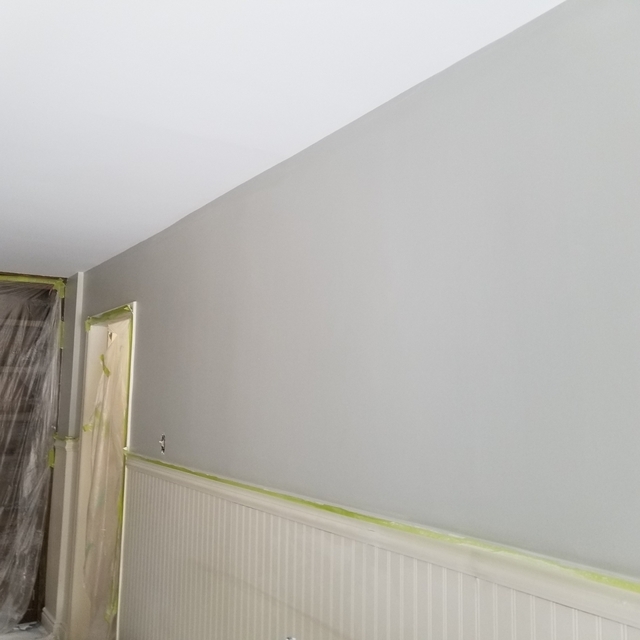 We help clients with residential repainting (selling or buying home, freshen up, or redecorating). Proud member of BNI (Business Networkers International) since 2007.